All 2000 Policemen deployed by the Force to the North East have reported and are on ground on combat operation in the North East fighting along with the Military in the front line against Boko Haram insurgency. The 2000 Police personnel deployed are in high morale and high spirit in the operation. No Police personnel absconded as alleged in the report. The Force wishes to categorically state that the story is untrue, absolute falsehood and a deliberate attempt to cast aspersions on the efforts of the Nigeria Police Force in the ongoing fight against the Boko Haram insurgency. The insinuation in some quarters and as reported in the story that 167 out the 2000 additional Police Officers recently deployed by the IGP absconded is not correct and should be disregarded by members of the public. These 2000 Police personnel are to complement the efforts of the Military to add new impetus to the fight against the decimated Boko Haram insurgency. This story was investigated and it was found out not to be correct, there is no reason whatsoever that Police personnel deployed for the operations in the North East would abscond. The Police Mobile Force (PMF) personnel have been engaged actively in the front line along with the Military in the fight against Boko Haram terrorist group since the inception of the insurgency. These 2000 Police Officers recently deployed are in addition to several thousands of Police Personnel already engaged in the fight against insurgency with the Military in the North East. The list of 167 names attached to the story is fake as the Officers mentioned are on ground in the North East. The 2000 police personnel deployed are in high morale and high spirit in the operation, the Force sees the story as a deliberate attempt to promote insurgency and dapple the morale of Officers and Men of the Police and other services who on daily basis lay down their lives to protect our dear Nation, Nigeria and ensure security of all citizenry. Members of the public are hereby implored to disregard the story in its entirety as a pure misinformation and hearsay. It is evidently clear that the writer of the story has never visited the venue of training or witness the deployment of the Police personnel in the operation but rely ignorantly on hearsay from misguided individuals who are being used to work against national interest and security. 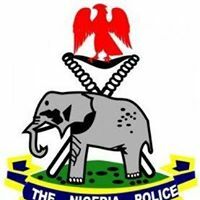 The Nigeria Police Force will continue to hold the media in a very high regard as a veritable partner in ensuring adequate security and success of the fight against insurgency, however, the media are implored not allow their esteemed publication be used publish falsehood capable of misinforming and misleading the public.